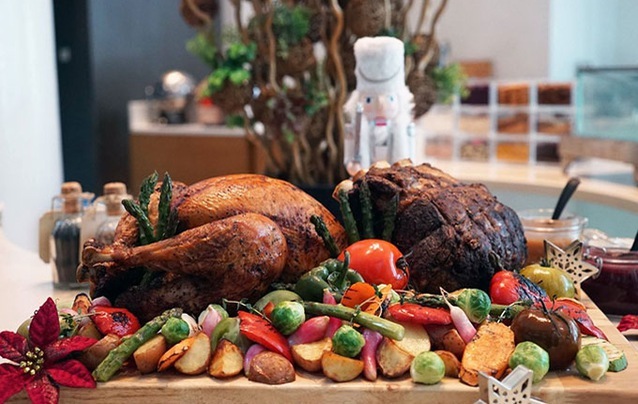 This 23rd December (starting from 7pm), Fortuna Hanoi will excitedly bring to their clients the “Hygge Christmas” Buffet Dinner which promises to be an event of unique culinary and interesting activities. Fortuna’s culinary team comes up with exciting and delicious Christmas goodies to tempt their palates. Christmas Eve menu is the perfect combination of traditional staples with a contemporary twist, and served to the highest standards and customer service. The arrays of premium Christmas traditional dishes such as hot soup, turkey, roasted dishes, seafood station and desserts will definitely delight diners’ taste buds. Throughout the evening, guest also can enjoy series of performances such street magician and lucky draw. Especially, lucky draw is the most expected activity of “Hygge Christmas” when many valuable prizes will be given to the luckiest person of the night and many valued prizes will be presented. The price is at VND850,000 nett for adult & VND550,000 nett for a child. 10% discount for booking before 5th December. For ticket information, contact Tiffin Restaurant by calling (024) 3831 3333, ext. 6160.